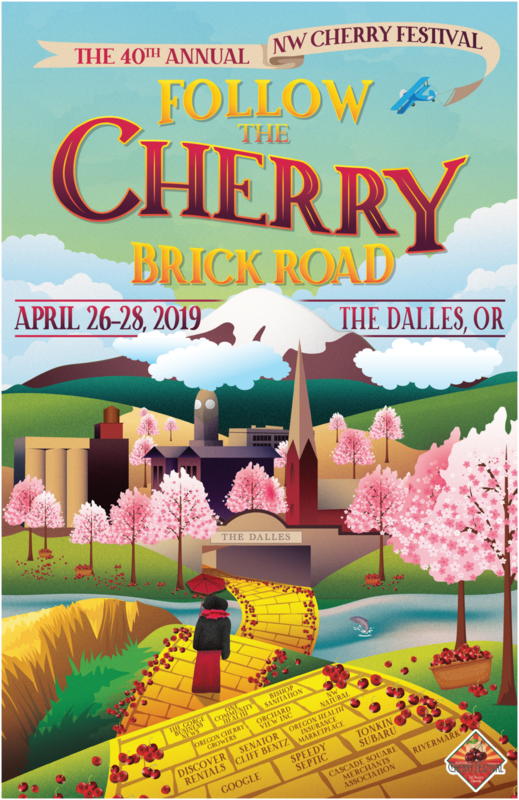 The Dalles Area Chamber of Commerce would like to welcome you the Annual Northwest Cherry Festivals! A longtime favorite among locals and visitors alike, the festival is set in the spectacular Columbia River Gorge and showcases The Dalles’ deep agricultural heritage and Western roots. The Cherry Festival in 2015 expanded to three days of family-friendly activities and events, and it gets even better each year! The Northwest Cherry Festival takes place in downtown The Dalles the last Friday through Sunday in April. Come out and have a sunsational time with your friends and families! Welcome to the 40TH ANNUAL CHERRY FESTIVAL! Take a look at the 2019 Official Cherry Festival Guide! Inside you will find all of the events taking place, browse the local businesses in the area and plan a good full weekend ahead! See who this years Grand Marshall is as well as the 2019 King Bing and Queen Anne! While there is still time, make sure to go to Rivermark Community Credit Union in The Dalles to vote for this years Little Royals! Look inside for dates on discounted ride bracelets, coupons to our local business to get yourself a cherry of a deal and so much more! Cherry Festival is Friday April 26th through Sunday April 28th! Welcome to the 39th ANNUAL CHERRY FESTIVAL! The Cherry Festival is an annual event put on by The Dalles Area Chamber of Commerce with the help of community partners and sponsors! Take a look at this years Official Cherry Festival Guide! Inside you will find all of the events taking place, browse the local businesses in the area and plan a good full weekend ahead! See who this years Grand Marshall is as well as the 2018 King Bing and Queen Anne! While there is still time, make sure to go to Rivermark Community Credit Union in The Dalles to vote for this years Little Royals! Look inside for dates on discounted ride bracelets and so much more! 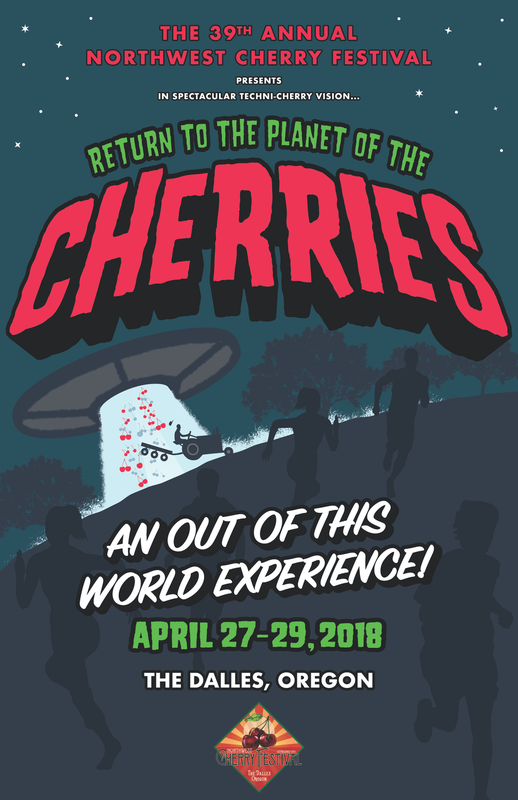 Cherry Festival is Friday April 27th through Sunday April 29th! We understand the time and investment it takes to build a successful business that's why we value the partnerships we build. Your growth is our goal! Make your marketing PLATINUM STRONG!